Split into four groups for activities, although we still want this to feel open ended and that we are providing the resources for kids to do their own explore. So for example if some kids are really getting into one activity do we let them keep doing it? Imagine you are an animal and this is your territory – where would your home be? what would you need. Imagine you are a little person and this is you and your friends place for adventures and exploration – what do you make? Could we bring the lollypop sticks and string and kids could make nature puppets to link with the creative sessions? Risk assessment – do we do together? I think this is a good idea, it seems in the spirit of picnics. Also possibly bring something to offer for the picnic? perhaps a little trinket or photo, or something, we could make a temporary picnic display at the picnic site, maybe on the picnic rug it could all be gathered? I can understand the reason for this and yes we maybe should not have the fire. But am not in agreement with the reasoning behind it, in that I feel it is more important to show children how to have fires responsibly in the woods and to encourage that outdoor fires are a part of the lives of children. Perhaps this is not something that is in keeping with our project though. The Quarter-master’s Store? It’s about food, one of the few I know well enough to sing in a group! More of a walking song than a sitting-down song though. Maybe we can have an hour of activity before picnic lunch? Think this is a good idea. Something quite active before lunch and more relaxed and contemplative after lunch? Cup cakes back at school? Cupcakes on site I think. Also I have the picnic hamper. I remember Rosie you said the cupcakes could go in the eccentric rucksack. What could we put in the hamper? Cup cakes might survive better in the picnic hamper! Blindfolds and string etc could go in the rucsack? So for example if some kids are really getting into one activity do we let them keep doing it? I think this would be good to do but wonder if it might cause difficulty with keeping the numbers in the groups manageable. Would it be easier just to have them all move to the next activity? If someone comes up with new ideas for games when we’re all together, the group can decide – what would happen on a traditional picnic? could we do a quaker like thing here where if a strong thought comes into your head and you want to share it you say the word? Could we bring the lollypop sticks and string and kids could make nature puppets to link with the creative sessions? would this require glue and other things to make the puppets with? we could instead tie the environmental art activity with a creating characters activity. I have had children making faces and characters out of things they find, they are placed on the ground though and could not be carried away. We could make tiny stick-figures using forked twigs and peeled bark to tie arms on. I can cut some willow and peel bark on the way. What could we use for heads? No-one has written an account of our meetings for far too long. last evening 30th July we had a wonderful evening of tales on the theme of the Sun. We had local stories, anecdotes, folktales from around the world, and an original piece from a very nice lady called Jan, as well as a song or two from Paul and his son. We were joined by Betty, a student from France who has been travelling throughout Scotland visiting and recording Storytellers. Entering the Doghouse I thought the atmosphere was quite congenial for storytelling and had a warmth about it, perhaps a slight eeriness hung in the air to complement the scary element. The Doghouse has recently moved home to this building and they have done a great job in making it suitable for their purposes. It is a building that has had a few different faces since I came to the area but none have really pulled it off. The place is utterly transformed with the Doghouse and it really works. There is a main floor level and a mezzanine level above, around the walls of the mezzanine they have paintings depicting the growth of music through the years, including Pink Floyd and Bob Marley, it is not yet completed but it looks great. We thought it would be best to have the club on the mezzanine level as it would perhaps be more peaceful. I knew a few of our usual crew would not be coming that evening as they had other plans but slowly a few people began to trickle in, including a couple of relatively new faces. It was a smallish group, about 10 of us, but a cozy number for the evening. This was followed by a group of students, I think all French and I can’t remember all of their names at the moment, and they lulled us with a lovely little French lullaby. 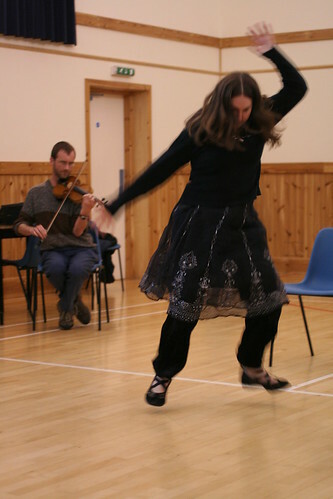 Sylvia gave us her version of the ‘Piper and the Boots.’ Hers was from Ireland and involved Paddy the Piper, a fine pair of boots from a hanged man and a cow with an apparently voracious appetite. I must admit though I felt a slight shiver I had not yet been frightened by the ‘scary’ stories. Out of the hat came, me myself. Perhaps not scary but I delved into a dark and sinister tale about a church in Wales that was disrupted by crows that it turned out were under the command of a demon that was subsequently banished. On we went to the creepiest story of the evening brought to us by Zac. It was from the Japanese, who seem to be quite good at the creepy side of things when they wish to, and involved itinerant monks on there way to a festival. 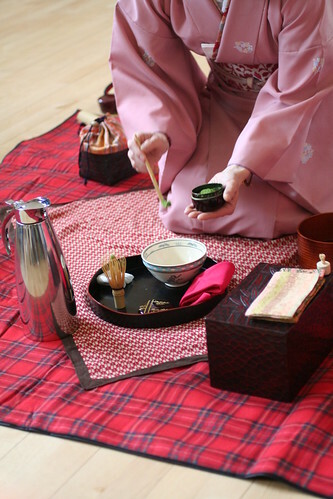 The bravest of which went on by himself to end up in a teahouse, enchanted by a woman bearing sake and playing lovely music. But rejecting her wiles he is mysteriously bound and is found by his friends in the morning, only to discover it was all an illusion and the woman in fact had been a spider. A very odd tale involving Bell Rock lighthouse, talking crabs that collect the sun’s reflection, Lighthouse Bob and Willie the Wick was related to us by Kenn and it shed some light on the darkness. We were hurried on a bit by this point as there was meant to by video games played on a large screen doon the stair and they were needing to do a sound check. So last up was David and we were off chasing a hare that turned out to be a witch. It was a wonderful and warm night of stories in the Doghouse, not so spine-tingling and chilling afterall. Oh well, I probably slept all the better for it. Over the past few months we have had a lot of great nights. Back in April we had stories around the theme of the Environment when we were told about Lindsey’s wonderful trip to Indonesia and surrounding islands and her unnerving encounters with orangutans, as well as a story admonishing the mistreating of the selkies from Senga. 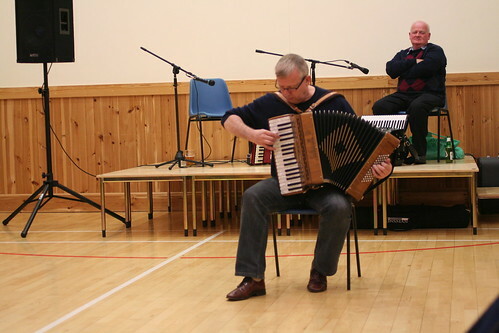 In May we visited the Fife village of Letham for stories of ‘Life and the Land’ when Sylvia had folk off chasing bunnocks and there was much to sing about. I was off visiting my home across the puddle in June so I missed the club that month. In July we had a busy month with a very successful appearance at the Big Tent with stories for kids and adults and the following week our monthly club was back in Dundee at Drouthy Neebors and was centered around ‘Dreams’ when Kenn told us of a fascinating dream he had that gave him an insight into the story behind the folk tune ‘The Road to Dundee.’ Then in August ‘Peace’ was our theme with stories of carpets, giants and monkeys. Now on to September, as my memory was not serving me well in recollecting the clubs before this past month. We were in Drouthy Neebors but instead of being in the main basement room we had been allocated the space at the bottom of the stairs for the first time and it was a test to see how it was. The space had its problems, a bit too noisy and busy but we made it through the night and had some great stories and the like. Our theme was ‘If I had wings,’ stories of flying, birds, the air and anything else that seemed to fit, or not perhaps. Our first teller was Sheila and she had wee Walter flying off to football matches with his mittens unknowingly made from a magic carpet and the magic words, “Alec has ham.” Then there was Robbie telling us of the talkative frog and the geese who try to take him flying as he holds on to a stick with his mouth, it was his idea. The most fitting story of the evening came from Zac who gave us a version of the tale of Daedalus & Icarus, to my disappointment the ending was the as it always has been, poor Icarus. I then gave a telling of the Scottish tale ‘The Battle of the Birds’ as quick as I could though it did go on a bit longer than I anticipated. Morgan had to compete a bit with the rabble coming down the stairs when he began his rendition of Poe’s ‘The Raven.’ He got into the flow with a part spoken part sung recitation of the fine poem. We were off to Scandinavia with Senga as she had Nils on the beach finding enchanted cities and lost coins. We were to ‘Fly Like an Eagle’ with Paul’s singing and then he told us a personal anecdote of a special moment in the darkness of the wood when he was in the company of bats. Then we were whisked off by Sylvia and her astounding telling of a tale of Lord Mount Dragon, the little weaver who kills 3-score and 10 with one blow and in his armour of pots & pans is off on his shenanigans to battle with dragons. We had a pleasant surprise this evening in the form of Andy Hunter who gave us his tale of Peewee the Peacock, who prefers to be called ‘Beautiful is his tail as the sun coming over the mountains in…’ and it goes on to prove that having a pretty name could surely be your demise. That, in a nutshell, was our evening. That could be a good theme for a future club: ‘In a Nutshell.’ I will make a note of that. Hopefully I will be back to give an account of our International Storytelling Guest Jeeva Raghunath, or someone else will, and then the next club with the fitting theme for October of ‘Scary Stories’ in a new venue of which we are as yet unsure. ‘Rosy Glow or False Dawn? Growing Storytelling in the 21st Century’ was a two day storytelling seminar at Edinburgh’s Scottish Storytelling Centre in March 2010. I’m not going to go through all the discussion sessions here in any detail (it’s a marathon sized post as it is anyway!). 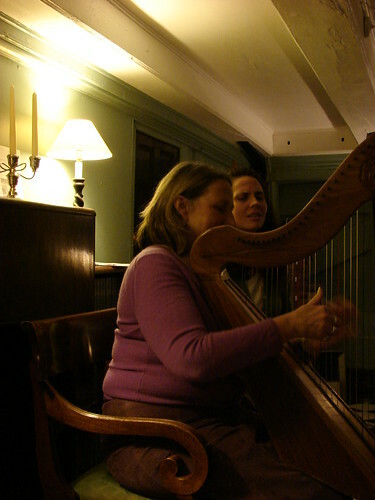 Clare Murphy posted a substantial set of notes on the event which you can see on the Professional Storyteller network. Everyone at the seminar agreed that storytelling is vital, but there are inevitably some tensions between the professionalisation of oral storytelling and its universality as the ‘artform of the people’. This can be seen in the difficulty in securing funding for projects, how is it categorized? Part of literacy? Part of the visual arts? And then there’s the notion that storytelling is just for kids. In the last year we at Blether Tay-Gither have gathered a more diverse set of members in terms of ages and nationalities. But there is always the danger that this may lapse. It was suggested that introducing an element of competition can be good. 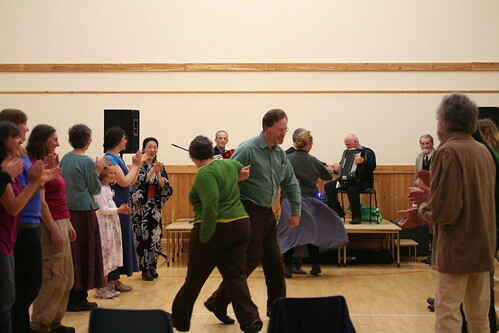 I know that storytelling, especially in Scotland, advocates a sharing, generous nature, but it was pointed out that adding a competitive element can draw the interest of young folk. The success of Story Slamming in some areas was noted, and local examples of the Tall Tale Oscars in Edinburgh and Glasgow mentioned. Poetry slamming with its close links to hip-hop is increasingly popular. 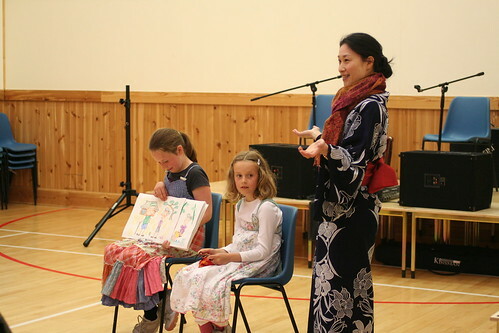 In England, the Young Storyteller of the Year competition is popular. This is split into three age bands, 16-18, 18-21, and 21-25. Winners are selected by a panel of judges, and the competition is promoted in schools. To me, this is extremely positive. It reinforces the fact that storytelling is not just for primary children, young tellers are encouraged, and even if they do not take up the mantle, awareness has been raised. We were told of the success of Clare’s group in Ireland (sorry Clare, can’t remember what your group is called or where it is based!) with numbers regularly reaching over the one hundred mark and falling mainly in the 20s-30s age groups. The club grew organically through predominantly word of mouth and has had to change venues on a few occasions to find bigger spaces to hold everyone. Milk & Cookie Stories (Putting Stories in the Spotlight) is another club in Ireland enjoying success and which is also appealing to the younger age groups. Blether Tay-Gither is fantastic. We have a great atmosphere in our club nights, and I felt torn when I heard about the number crunching success of other clubs. Yet, even as it is, we struggle to fit everyone’s stories into a single evening. If we had just double the numbers (say 40 folk) then we would end up having a marathon 6 hour club night or, more practically, have half the group leaving without the chance to tell. I do think it’s important however, to try and tap into the younger folk, and to that end, perhaps story slamming as an additional activity is something which should be explored more deeply in the wider storytelling community in Scotland. Adrian Johnston claimed that, ‘You can shape the story to the ears of the funder’, which I loved! But that is true in most situations; a story is spun to enhance the best, more innovative, exciting elements. Growing audiences requires targeted marketing. 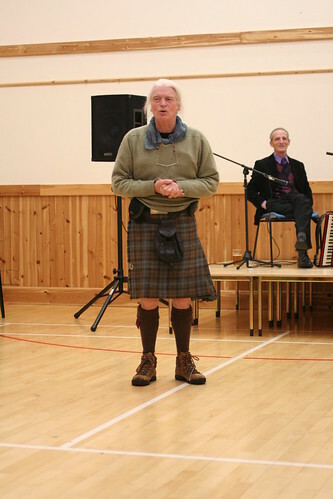 ‘Stories, Stovies and Songs’ at the Village storytelling in Glasgow sold out every month. The general consensus was that food/café environments were particularly successful. Certainly our ‘Stories and Samosas’ event in Cupar was very popular! Clare suggested that a key way of marketing events is by telling folk what is happening, then tell them again, and finally tell them what has happened afterwards. There is a definite need to make use of electronic communication. Growing audiences require targeted marketing. No-one would go along to a gig or music event if it was simply advertised ‘Music’. We need to be more specific and let the audience know what to expect, what they will feel, what they will experience. I’ve tried to start putting that into practice but it’s hard. Maybe I need more marketing experience! Another element in the promotion and marketing discussion was the need for tellers to take control and responsibility for evaluation. To count numbers, speak to folk, ask them if they have seen this kind of thing before, hand out feedback forms, and so on. Something which works well along with food at storytelling events is stories in Special Places. Finding atmospheric locations is great. Finding the ideal venue has been one of Blether’s biggest challenges. One memorable evening was onboard The Unicorn in Dundee. It was Amazing. 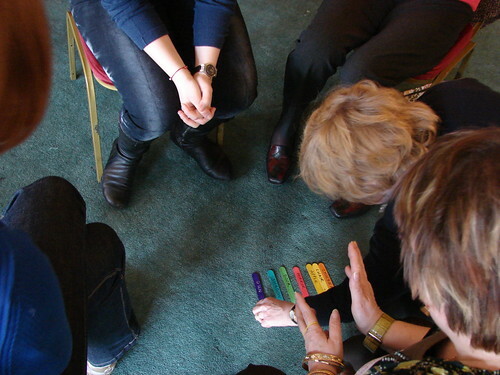 Lots of groups offer workshops on storytelling skills, but is there a need for organisational/business plan training and repertoire development in the wider storytelling community? ‘The Human Library is an innovative method designed to promote dialogue, reduce prejudices and encourage understanding.The main characteristics of the project are to be found in its simplicity and positive approach. [murmur] is a documentary oral history project that records stories and memories told about specific geographic locations. Less than a week from the night and I am managing to put the time in to write this reflection on our last storytelling evening. Blether was celebrating its 3rd birthday on this night of Sugar N’ Spice stories at Drouthy Neebors pub in Dundee. We arrived and descended to the basement of Drouthys hoping to have a roaring fire but there wasnae and there wasnae any wood to light a fire but probably for the best because as folk began to trickle in we saw we had quite a crowd and there wouldn’t have been much room for the fire, we had surely filled the space. If it keeps up this way we will soon need the Caird hall for our storytelling evenings! The atmosphere was festive and many had brought cake of all sorts of shapes and flavours, lots of sugar n’ spice! 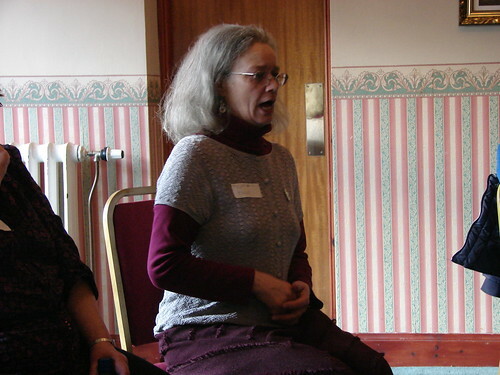 To add to the celebration we also had 2 of our storytellers recently become accepted on to the Scottish Storytelling Centre registry process, so there were much congratulations for Sylvia and Sheila. There was a definite warmth in the air to further enhance the delectable fragrances. The blether hat was passed around while there was much indulging in blethering. Many familiar faces were in the room, some who we haven’t seen in a while. The first one out of the hat, the first to be put on the spot and in the spotlight, was Zac who gave us a song by Emily Portman based on the story the Juniper Tree, a Brothers Grimm tale, one of their grimmest. A very catchy tune called Stick Stock, I have been listening to it since on her myspace and she has a few very good tunes based on stories. Zac did a fine version to get the night rolling. We had Jack out looking for hare’s eggs in the tale from Claire, his brother had disappeared while on the same errand many years before, but beware Jack of the 7-headed demon. He did of course have to do battle with the demon, luckily he had been given an enchanted sword along the way and slew the beast, only to find his long lost brother. I was next up and I told of the village full of mean people, with a mean baker and his mean daughter that were visited by a faery woman in disguise. She brought a curse on to the people that they could not eat anything from the baker’s shop without coming to injury unless they had done a good turn that day. None wished to go without their pastries so soon the village was transformed. Then I had to tell of the study done into the dangers of biscuits, apparently the conspiring custard cream is the most dangerous of the lot! We were out with a little boy named John looking for the secret of Easter in a story by Robbie. As he searched he was given a clue in the riddle, “The secret you seek is in the house you keep, Where its golden light shines day and night.” Search as he might he could not find the answer until he went home and his Mum told him it was on his plate, can you guess what it could be? We came to the break and with a rendition of happy birthday for Blether TayGither and a chocolate cake made by Senga with 3 candles we were able to sample some of the amazing cakes that had been brought along. I don’t think I even got the chance to try them all, but Paul’s date and pecan was delicious and wholesome while Rachel’s sweet potato cake was simply divine (and that is not a word I use very often to describe food but there is no other word that comes to mind), I must get the recipe for that one. David gave us an account of a typical day at the lambing, in which he finds himself engrossed these days as he is helping a neighbour with his 300 sheep. A tiring day full of trials and tribulations it seems to be to bring into the world this ‘woolly food’ (as someone called it, hmmm… I’m a veggie by the way). It seems the wee ruminants have their fair share of difficulties, including the inclement Scottish weather to deal with. A food experiment gone ‘interesting’ was the order of the day in a personal anecdote from Rachel about a tart that wanted to be something else, or more like everything else, all course into one. Its strange scent filled her home until it was finally removed from the oven and tentatively tasted, the prognosis was ‘confusing’! As a fitting accompaniment to the song from Zac at the beginning if the night, Senga told us the story of ‘Applie and Orangie’, the Scottish version of the Juniper tree told fittingly in Scots. 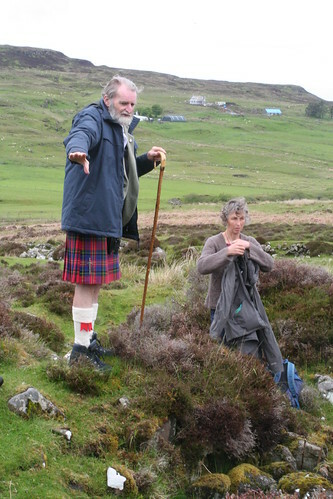 Senga had heard it from Stanley Robertson in Doric and later told by Sheila Stewart. The cruel stepmother did away with her husband’s daughter by chopping off her head and making her into soup. A bonny white doo doo (dove) was seen soon afterward and it was obviously the young girl. The doo sang to people in the toon and was given gifts, a watch, a doll and an axe. She brought them back to the cottage wherein dwelt her family and called down the chimney that she had something for all of them, the father put in his hands to catch the watch, the other daughter put in her arms to catch the doll, and the stepmother put in her head to get the axe! Here we ended our night, another successful one at Drouthys. Hanging about the blethers continued for a while longer with a few more sneaky nibbles of cake and a tidy up saw us out and on the road home. Today we had our joint event with GAS (Grampian Association of Storytellers). Like last year, this event was a great success. We met in a hotel in Edzell, roughly midway between Dundee and Aberdeen. Blether ran the morning session and after fortifying tea and coffee and lardy cake (thanks Anne!) we began. Robbie brought along a ball of wool and we threw it between the circle, each time sharing our name with a descriptive word beforehand. We soon realised that Blether folk were perhaps not to be trusted, Raucous Robbie, Shifty Sheila, Dastardly Debbie, Subversive Senga and Stand-offish Sylvia. 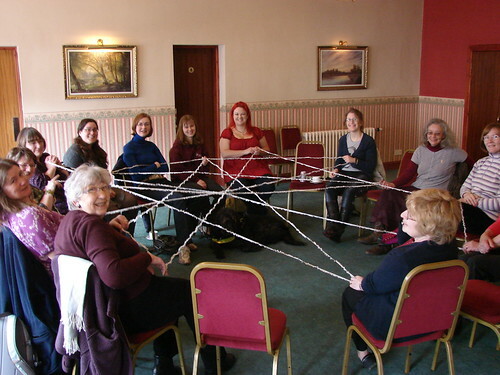 The completed circle was quite beautiful, a web of names, reminiscent of stories and their connections. This game (which took a little longer than expected thanks to knots in the wool) was followed by story making in groups with story cards, or story sticks, as I had been unable to get hold of the real story cards in time. We split into three groups (4 or 5 folk in each) and spent 5-10 mins making up stories with the cards before sharing them with the rest of the group. We had some wonderful stories, adventurous trespassing boys who turned into deer, a preening chicken with eyelash extensions being terrorised by a fox, and a highrise window cleaner who intervened between a gun wielding man in a chicken suit and a beautiful woman. Then we had a little time for story sharing. Using our trusty Blether hat, names were dropped in and we heard some great stories, including a tale about the smell of bread and its cost to a poor traveller man from Anne, and a troll story from Sylvia, who were tricked by a white bear they thought was a cat. Zoe told us of a clever Scottish court jester based in England who bested the bishops who claimed that they were far cleverer than any Scots folk. Fiona-Jane sent a shiver round the room with a ghostly tale of Stanley’s about a traveller lad who came across a deathly pale girl with bleeding hands. Pauline told us a heart-warming tale of a little boy who would be king by being truthful, whilst Maggie ended our story round with a fantastical Jack story who succeeded in getting the king to call him a liar. Our last game (voice exercises) before lunch was led by Sheila, who handed out cards to us all, and we had to read out the phrase using the style suggested on the card (boastful, sad, excited etc). After lunch (and a quick wander to see the river), GAS took over for the afternoon session. Maggie ran a workshop on Imagination and we all took a meditative journey into a cave of crystals, before embarking on our own imaginative journey. In pairs we told our journey to someone else, swapped pairs and told the story we’d just heard to another, and again, and again. A quick Chinese whispers game of stories! A quick tea and coffee break and Fiona-Jane led a short workshop on Oral History, explaining how she has used it in reminiscence projects and in her research, and then we swapped favourite childhood memories in pairs and then to the whole group. The day rounded off with a couple of songs, Ally Bally and The Dundee Ghost. We had, like last year, run over our advertised finish time, but in the aftermath of clearing up most of us stayed an extra few minutes to sample the ice-creams at the local shop. It was a brilliant day, lovely weather, lovely folk. See you all again next year! I arrived at Drouthy’s ahead of everyone else as I took the train in from Perth, my usual liftshare buddies Lindsey and Debbie were not going to make it this evening, also it gave me a chance to arrange things, chairs mostly. The basement has one end with an open fire, that I had never noticed before this night, and space to create a circle of chairs. 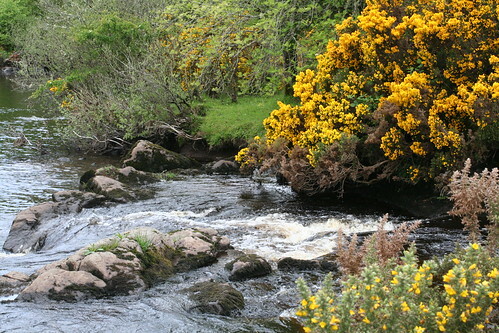 While I waited I read over my story for the evening, a Celtic tale about Bride, Beira (the cailleach) and Angus Og. I did not feel prepared to tell the story just yet and was not sure if I would attempt, it felt like I needed to work on it a bit and connect with the story a bit more. Sometimes though I need to tell the story before I know if I connect with it. Senga and Sylvia arrived and we sat together wondering if anyone else was going to show, we already knew a few folk weren’t going make it. Time ticked away and no one was showing, then suddenly someone must have opened the gates for in they came and the seats quickly filled, in fact we had to drag a few more chairs into our growing circle. In all I believe 13 people showed up, a lucky number! Don’t believe the hype about it being unlucky, they just want to keep it for themselves. My hat was removed to be used as a pocket for the names, we usually have all those who want to tell a story write their names on a piece of paper and then they are drawn at random from the hat. I decided not to put my name in, just yet, so I could listen and perhaps the story I was learning would settle into place, digest a little bit. The first name drawn from the hat was David. A regular at our club David always brings an interesting story and he did not disappoint this time. He told us a tale from Orkney about the Finfolk, a race of supernatural people who live in part beneath the sea. 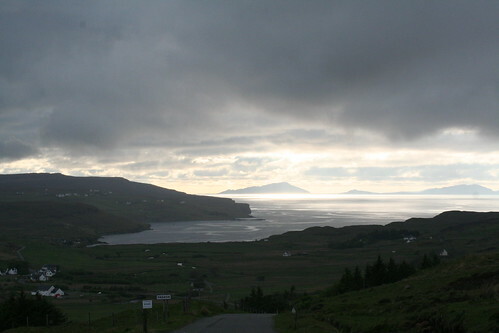 It was an atmospheric tale about a mortal man who loses his wife to the Finmen but in the end gains an island from them, an island that may be visited to this day. Now I may begin to get the order of who went next a bit muddled, but this will be my version of history afterall. I believe we had the name Sylvia appear from the hat. She told us a tale of a princess who would not be wed until she was forsaken by her father and given into the arms of a vagabond, forced to live with him and actually do work for herself. There was an uncertainty about where the story was going but being a princess story we did eventually get to the ever after… Senga took us to auld Dundee and a foray with the bogles of the howff, bogles who were shooed away with a bit of love, and some housework. Rachel took us to America and the unlikely relationship of a boy who’s true love is actually a tornado. I was enjoying the atmosphere of Drouthy’s and getting wrapped up in the images of the stories, some wonderful images were being conjured and there were more to come. A young lady had appeared at the club this night and we learned her name was Fe, she was holding a sketchpad and we learned that she was getting ideas for drawing stories. Fe would not be short of pictures on this evening. We were, perhaps, then taken away to a tale of lovers told by Sheila about a man who finds his true love but is not allowed to see her at night until his curiousity gets the better of him and he discovers that half her body is a skeleton and because of this discovery she leaves and is gone forever. It transpires that she was actually a girl who had died many years ago. Out of the hat came Paul who took us away with the soothing song of a wedding day, a welcome break from the flow of stories and very well fitting with the theme. A debate with a friend about the greatest warrior who ever lived sparked Morgan to tell us about a knight who was more nimble in his armour than out of it, as proven by his prowess in the bedroom when glued into said armour. It was a tale of love, deceit and murder; all the ingredients for a good romantic tale of chivalry. Now I do remember who was the last teller of the night, because it was me myself. When the names were emptied from the hat a few gazes wandered in my direction and I felt like I could attempt the tale. The story is about the coming of spring heralded by Angus Og and Bride as they meet and drive out the hag of winter, the cailleach Beira. I told half the tale, which was long enough and summed up the romantic element of the story. I did connect with the story and will be developing it further, hopefully to tell the rest at a future club night. Overall the night was a success and everyone seemed enthusiastic to have the next club there in March, our night of Sugar N’ Spice, Blether’s 3rd birthday celebration. So we are booked in for the night and they say we will have the fire lit, it shall be an atmosphere well suited to the flow of stories. This is my first installment of what will (hopefully, if I remember to) be a monthly personal reflection on each of our monthly storytelling clubs. The first is our January 26, 2010 club entitled Stories & Samosas. Our carload of intrepid storytellers stepped out into the night and quickly out of the chilly January air and into the Indian restaurant, a warm smell of spice greeted us as we unburdened ourselves of our outdoor attire. As we entered the dining room the night sky twinkled above us ,stars of LED lights, in a purple sky, the painted ceiling, and we headed for our table. The exotic location of this evenings event was in Cupar, Fife in the Armaan restaurant and the guests had begun to arrive, and a lot of them there were! I was quite surprised, from our usual informal group of storytellers we were now holding a feast of stories for a crowd. The Blether group had done this before a year ago but I was unable to make it so this was all new to me. It took me few minutes to get my bearings amid the bustle of hellos and how are yous and trying to collect tickets and before I settled I was called up to tell a story by our lovely hostess Senga. “Gosh, its warm in here!” I thought, and then, “what was the story I was going to tell?” It unravelled in my mind as I fumbled through the first few sentences and eventually got into a flow as the story was coming to an end. It was a Bengali tale, chosen as the first because I promised it would include a samosa, called ‘Half Hungry’ about a character who can never satisfy his hungry and the times he tries he is thwarted, first by slipping on a samosa and being rendered unconscious. After the story I sat down and began to feel like I had arrived. We were then transported back to Bengali, which didn’t take too much imagination with the smells (my belly rumbled) and the warmth around us, by Sheila who told us of a meeting of two men one of whom would not say, “Good Morning,” until the other had done something for a king, and so he did… by finding out that a princess would not marry because she was wronged by a man in a previous incarnation as a bird. Sylvia brought us to Bangladesh again with a tale of a Brahmin who made the mistake of letting a tiger out of his cage and nearly lost his life in the folly, but fortunately the wily ways of the jackal saved him in the end. Rachel told us how a samosa can get a cook thrown in a dungeon and how the enchanted contents of a samosa found him liberty in the end. Claire Hewitt had made it to our club again, it is always wonderful (& wonder-filled) to have her join us, she brought us on one of her journeys to India and to a story about a quail who saves a forest and the Bodhi tree from being consumed in a raging fire simply with the water it could hold in its beak, and a little help from the gods. Before the first break in the flow of stories Robbie told us a tale in which a man smashes everything in the house so that his wife can’t sell the milk from the cow that they don’t have, happens every day… I was becoming distracted by this point, the aroma of food was causing my head to swirl and then the food arrived. Hmmm… I stared down at the vibrant coloured comestibles on my plate, I had never thought of requesting vegetarian. I enquired of the waiter what is veggie and what is not, he was able to assure me that the hash brown was definitely vegetarian. After a bit of inspection my friend Gordon (veggie too) and I were able to discern the plant-based fare from the meat-based. I traded my spring roll with James for his hash brown. The food was very good, with a spicy sauce, but did not quite fill me up, where are the samosas we wondered… James wished he had ordered a curry. But no more time for food when there are stories to be told. The second half began with Lindsey and one of her famous story-stormings: an improvised tale helped on by the audience. She took us on a long submarine journey with Shiva (in has aspect as destroyer), a baby elephant without a trunk, a mouse and Raymond the nutshell; all characters suggested by the ever imaginative collaborators. The journey began once the elephant managed to get into the sub and then a comedy of claustrophobia ensued which culminated in a game of twister and a Bollywood movie… I imagine you get the picture?… Our other distinguished guest this evening was Andy Hunter who added to the Eastern flavour with a Chinese tale about a horse that is freed by a farmer to avoid conflict only to return with another horse which, in its turn, saves the farmer’s son from losing his life in conflict. Tea & coffee were served and biscuits, my friend’s and I gobbled down all the biscuits with in reach as the night wound down with laughter and chatter from the crowd. All in all we went away feeling quite satisfied with the evening. Though I am still getting demands, a week later, from my friend for his samosas, I promised him I have some in my pocket for next time I see him.